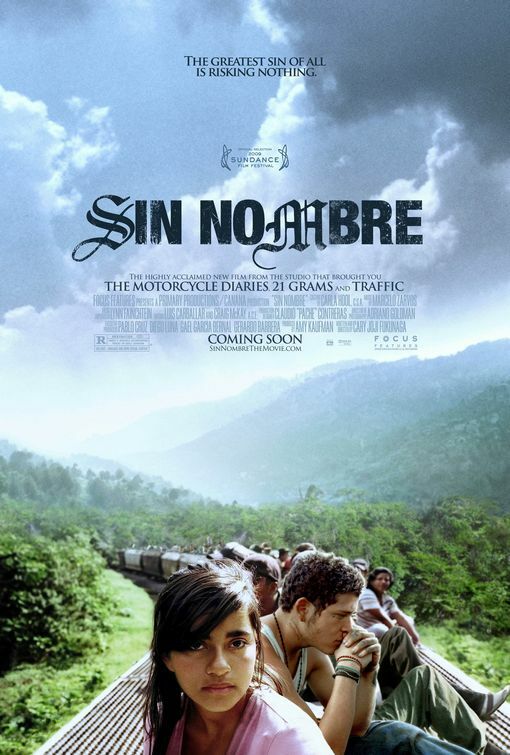 Cary Fukunaga has had lots of experience writing and directing short films, but his new thriller, “Sin Nombre,” (which was released earlier this month on DVD) is his first feature-length effort. The movie received great acclaim when it debuted at the Sundance Film Festival, where it won awards for cinematography and directing, and was nominated for the Grand Jury Prize. Although Fukunaga said that “Sin Nombre” is a film that he’s very proud of, a great deal of his love for it was developed behind the scenes, when he worked in Honduras and Mexico and learned more about the culture that he was filming. He said that making the movie was a wonderful experience, and that he hopes he can develop projects in the future that are even more ambitious. QUESTION: Why does the film focus on the relationship between the two main characters? Those scenes feel very different from the ones where they’re both on the run. CARY FUKUNAGA: That was the part I was actually more interested in than the chase part. I always just was trying to write from a perspective truthfully. In a way, their relationship could’ve been something expressed stronger or completely different if they’d lived in the circumstances, but it’s two people with very similar backgrounds of loss, and unfortunately, they meet under these circumstances. As two normal kids in school, they might’ve formed a sort of relationship that we would consider a standard love story, but because they met each other in this world, they had a very short time to learn about each other. QUESTION: This is a production where you had to work around a tight budget and schedule. What were some of the compromises you made during the production? CF: I feel like the creative part of what one would consider directing is over by the time production actually starts. The main thing is using your problem-solving technique. You get a series of issues that you didn’t think were going to be a problem, and suddenly they are, and you have to re-conceive a scene. I stayed pretty loose in terms of how I was planning on shooting a scene, knowing that some days I would be running out of time and I would have to cover that scene maybe in just one setup and just do one long take in order to get what I needed out of that scene and hope that the actors were on-point. I was amazed we were able to do a film with the time and money we had to do it. QUESTION: Why did you feel that it was important to tell a story like this? CF: I thought it could introduce new insight into the immigration story than we’re used to hearing. I think it’ll help give you insight into the immigrant experience, which is not too far away from what our experience was in the Old West, something that many Americans are very proud of. Here are modern-day immigrants going through a very similar – if not more violent – journey, and yet that bravery is not really appreciated. It creates a lot more empathy for that experience if you get to see it in a fictional feature-film format. QUESTION: After you went to these places for research, how did the project change? CF: Having travelled with immigrants really changed how I represented different characters in the film – I had a lot more experience and a lot more anecdotes to draw from to try to paint a more realistic picture of the attitudes and personalities of the characters in the film. Beforehand, it was just outsider perspective, drawing very heavily on research through newspaper articles. I was then writing from experience rather than trying to glean what it must be like from someone else’s writing. I was writing from what I’d seen. QUESTION: Are gang members as young as these characters typical in those areas? CF: I think so – they start off even younger as sort of like an intern, if you will, before they’re baptized, and they do odd jobs for the gang. In this movie, it’s sort of a bad time – they’re not as strong as they used to be. I’m not sure if American audiences will get that through the subtitles, but certainly a lot of American audiences will feel it a little more in terms of the attitude of the gang, sort of like on a losing streak. That’s why the model is that much more strict on Willy/Casper, and that’s why they’re having to baptize someone like Smiley, when they wouldn’t normally be baptizing new people to the gang. QUESTION: Do you think it will appeal to people who don’t know about the struggles in that area? CF: It’s hard for me to guess what kind of films people like – I’m always amazed by how well big-action, special-effects films do. It’s hard for me to really imagine what people will react to, but in terms of myself, being an educated young American adult, this stuff, as soon as I heard about it, absolutely fascinated me. I would hope that likewise for anyone else who’s curious about the world and who wants to learn about other cultures it’d be fascinating, and equally for Latin American audiences, whether they’d heard about it in newspapers or not, seeing it in a format that’s more accessible. Documentaries are amazing, I love documentaries, but in some ways their audiences are never as wide as a fiction film is. QUESTION: Pain and love seem to mingle with each other throughout the film. Is the connection between the two something that’s part of the culture, or is this idea something that’s part of your own philosophy? CF: I do think that everything has a yin and yang. In my perspective, love is often followed by heartbreak, even if the love continues. Familial love, paternal love, all those things are full of acts of betrayal and all kind of things. I would consider also that love might be another word for describing the desire for family and for protection, and that a lot of these things are driven by the return to your family. Horacio, the father, is interested just to get home to his family, and drags his daughter along without really being very sensitive to her lack of attachment or her issues with him. Likewise, for Casper, his desire to be with his girlfriend and not tell her about his life is another reason why she ends up trying so hard to find out and showing up at his meeting. People are sort of blinded by their desires. QUESTION: What are some other projects that you would like to work on in the future? CF: I’d really like to try a different genre. This is my first feature film, and I want to try something that’s not as realistic. Maybe something a little more formal, or maybe even something as far away from this as a musical. I have ideas I’m playing around with, which I think are compelling ideas. I’d like to try my hand to true fiction and made-up worlds rather than doing a project that’s based on life. Each genre has its own sort of rules, and I think oftentimes directors stay within their genres and they do amazing jobs. Some of my favorite directors are really great at what they do, but I personally just want to keep trying different kinds of films. Maybe I’ll stumble on something that I like more and will just continue make films, but after this first one, I want to say that I’m always going to film – I just want to make movies. Thanks for this, just saw the film and it blew me away.